Wonderful home situated in a private, secluded rural area but just minutes away from villages of Westfield, Brocton and Mayville, Lakes Erie and Chautauqua. Open floorplan upstairs on the main floor features a stylish country kitchen with solid surface counters, living room and dining room, all under vaulted ceilings. 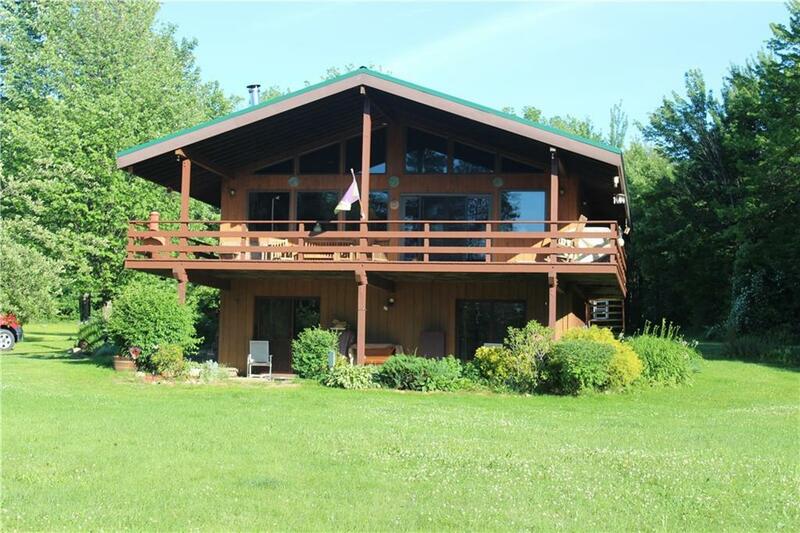 Enjoy the cozy wood stove, or the spectacular views from the large covered deck. A master and an additional bedroom and full bath round out the upper level. Downstairs fully finished walk-out basement has two more large bedrooms, family room, office, and laundry. Wood floors and radiant heat throughout. The home has two large barns and is offered with approximately 10+ acres of land (part of parcel). Additional acreage negotiable. Near snowmobile and hiking trails.